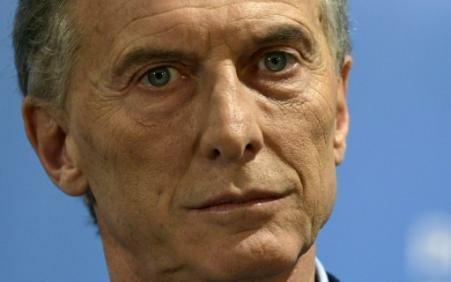 The argentine president Mauricio Macri has decided to extend the powers of the minister of the Economy Nicolas Dujovne, appointed coordinator of government economic and support to negotiate financial aid with the international monetary Fund. In addition to the Economy and Finance, Nicolas Dujovne, an economist appointed in January 2017, will be responsible to coordinate the activities of nine ministries, including those of Transport, Production, Labour, Energy and the Interior, which manages in Argentina the relationship between the federal government and the provinces. The financial sector and of the changes made to the object since more than a month of speculative attacks against the peso. The markets were critical of the dilution of economic responsibilities within the government, preferring to be a minister with extensive powers. “Macri promotes Dujovne, giving it more authority in negotiating with the IMF”, welcomed on Monday the daily economic argentine El Chronicler. “Once the bleeding (the peso crisis, editor’s NOTE) is under control, the government felt compelled to make changes (…) It was necessary to have a minister strong in the areas of the economy,” says political scientist Sergio Berensztein. “This change is clearly forced by the peso crisis and the decision to enter into discussions with the IMF. In part, because it is clear that the situation is aggravated by lack of coordination among the different members of the economic team, especially with the central Bank,” observes the economist Daniel Kerner, Eurasia Group. For Kerner, “the promotion of Dujovne will help in the discussions with the IMF, the fiscal adjustment, and to enable the implementation of an economic policy more coherent”. Dujovne, an economist 51-year-old with no ambition in politics, advised, before joining the government, senators of the radical civic Union (UCR, centre), a member party of the government coalition, Cambiemos, came to power at the end of 2015. The government has provided no comment on the appointment of a “coordinator of economic government”. Until then, the economic co-ordination was ensured by the two vice-heads of the government Mario Quintana and Gustavo Lopetegui, two men of trust to Mr. Macri, now in withdrawal. President Mauricio Macri assured last week that the peso crisis was over and set as a priority the reduction of the budget deficit. The budget deficit increased from 6 to 3.9% of GDP in two years of management by Mr. Macri. The crisis of confidence in the argentine peso resulted in a depreciation of the currency against the dollar of nearly 20% in a month and a half. To stabilize the peso, the central Bank of argentina has increased its key interest rate at 40% and injected in a few weeks, more than $ 10 billion to support the currency. According to analysts, the pressure on the foreign exchange market remains dormant as remunerate an investment at a rate of 40% is not sustainable in the medium term but a very short-term rates done to reassure the market. The argentine president of the centre-right government has sought the assistance of the IMF and the south american country started on may 8, talks with the Fund. The IMF has announced on Thursday that it intended to conclude an agreement “soon” with Argentina. On Friday, the director general of the IMF Christine Lagarde tried to reassure the Argentines, noting “that the economic program of Argentina will be entirely the responsibility of the argentine authorities,” while the public expresses its hostility to an intervention of the institution of Washington. The Argentines keep a bad memory of the IMF, that they deem to be co-leader of the liberal economic policy pursued by president Carlos Menem in the 1990s, leading the country to an economic and social crisis, which peaked in 2001, with a default of payment. In addition to the reduction of the budget deficit, absolute priority, “the coordinator of government economic” will be the main challenge to contain inflation (25% in 2017) and to maintain growth, which has reached 2.8% last year.